A tip for cutting out the butterflies: Stamp the image of the butterfly onto the card where you plan to place it. When cutting out the butterfly, don’t worry about cutting out around the body or antennas, they are stamped on the card base already. Line up the cut out butterfly onto the one stamped on the card base. It looks amazing! Roll the wings of the butterfly to add dimension (flowers too). Check out the Amazing April Specials!! Bring Back MyPack Zoe! : Zoe is back in a new, slimmed down paper packet! This paper packet features 6 paper sheets and a full 12″ × 12″ sticker sheet, giving you paper and stickers in the same pack! We’ve refreshed a few of the colors to create this updated pack and paired it with a coordinating cardstock pack and stamp set. Save 25% on a workshop kit that includes all of these items. You can also get a FREE Zoe packet by signing up as a Close To My Heart Consultant or hosting a qualifying party this month! HOME Home Decor Project: This projects uses the monograms to create the word “home”. Decorate as the kit comes or change it up! Stamp of the Month: S1904 Love So Sweet! Celebrate 35 Years – CTMH is celebrating 35 years of being in business. There are new specials popping up so keep your eyes and ears open for when they go live! Featured Paper Pack (s):Feels Like Home! This dream paper works great for baby, wedding, shower, and Cherry Blossom Fest pictures! I’d add in vintage or family history pictures as well. Check out my FB group to see art made by myself and other talented artists. 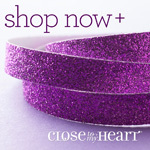 Online Specials: Check out the “Going Soon” and “Clearance” sections of my shopping site often. New goodies are posted up without warning. You can get some awesome deals this way! Seasonal Expressions 1 is live and we have 2 weeks left! Thank you so much for stopping by my corner of the internet. I hope you are inspired to celebrate Spring with this card make with Zoe and Love So Sweet! While I’ve been working on migrating the website to a new server, dealing with all the other issues that come from computer upgrades and vending at weekend crops, CTMH launched a new special: Wild About You! It’s another mini album workshops! How fun! You can create this 20 page album quickly and easily! The instructions are downloadable. It can be for a kid or someone you are sweet on. Or maybe a friend that you love doing life with. I’d even say you could use it as a teacher appreciation gift. Thank you so much for stopping by my corner of the internet. I hope you are excited about the Wild About You mini album workshop! The Made with Love mini album workshop kit includes the Mix-in paper packet, Mix-in coordinating cardstock, white ribbon, and wood mini album cover needed to create this workshop. The wood cover features a die-cut heart shape that is used inside the album and comes with three rings for assembly. You can purchase the workshop kit with the For My Mother stamp set at a 25% discount, or you can choose a kit option without the stamp set. Note that there are two versions of the stamp set, one with American spellings of words like “favorite” and one with British spellings (favourite). Because of the two stamp set versions, there are also two versions of the workshop kit, one with each stamp set. Both stamp set versions are available to all customers based on their preferences, so be sure to use the correct item number when placing your orders so you get the right version of the stamp set. When creating this project, we recommend that you seal the wood cover and heart with a clear matte acrylic spray sealer. This will prevent stamped images from bleeding and becoming fuzzy. Seal the cover first and allow it to dry. Then carefully stamp the sentiment and images with black StazOn™ ink. This will give you a crisp, clean image. The workshop also requires cutting images from the Cricut® Artbooking collection. Cut the project pieces from the Design Space file we’ve created for this project. In order to cut from the project file, you must own the Artbooking collection and have a Cricut® machine that is compatible with Design Space. If you already own the physical cartridge, a list of shapes to cut is also provided in the workshop instructions. The instructions can be downloaded from my website! =) Check out this amazing project – 20+ pages (not posted in order)!! Seasonal Expressions 1 is live and we have 3 weeks felt! Thank you so much for stopping by my corner of the internet. I hope you are excited about the Made With Love Mini Album! Zoe’s back and she’s been updated. She’s got a new, slimmed down paper packet! This paper packet features 6 paper sheets and a full 12″ × 12″ sticker sheet, giving you paper and stickers in the same pack! We’ve refreshed a few of the colors to create this updated pack and paired it with a coordinating cardstock pack and stamp set. Featured colors: Canary, Heather, Mint, Smoothie, Sweet Leaf, White Daisy for your reference. Thank you so much for stopping by my corner of the internet. Enjoy having Zoe back!! With the Home Chipboard Monogram workshop, you can create a papercrafting project that is sure to add a cozy touch to any room! This workshop uses chipboard monogram letters and easy-to-cut shapes from the Cricut Design Space™ project file created just for this workshop. Review the information below for all the details about the Home Chipboard Monogram workshop. The workshop also requires cutting images from the Cricut® Artistry digital collection. If you are physical cartridge person, you can still get Artistry this way! You are able to download the guide HERE. Offer valid April 1–33, 2019. Shipping and handling assessed on retail value of all items. Or better yet, join our fun!!! This beautiful set is amazingly beautiful. With all the awesome images and sentiments, you’ll be making cards for years to come. They can be used on scrapbooking and art journaling, and even calendar pages as well. Don’t miss out on this one! You may purchase it for $18.95 or $5.00 with a $50.00 purchase. Purchase it for $5.00 and get the Kit of the Month free! See the picture below for the Kit. Hope over to my FB Pageto check out the live walk-through on the Idea Book. Thank you so much for being awesome friends and customers! Enjoy these awesome April deals.